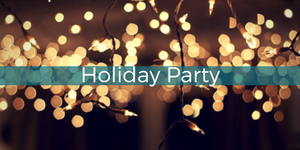 Join us as we usher in the holiday season with food, fun and good cheer! All active members have a chance to win the rollover jackpot. You must be present to win. If you're not there when we call your name, we'll keep drawing names until someone wins! Members interested in donating a holiday drawing prize, please contact lynn@poway.com . Poway Chamber members receive free admission with registration. There is a $10 charge if you do not RSVP. Non-members/prospective members receive one complimentary admission ($25 thereafter).